Just a year ago, public safety was uncertain when it could access 700 MHz spectrum, whether broadband fit into its communications plans and how such a network could be funded. Today, public-safety officials are voicing support for myriad proposals that call for public-private partnerships to build broadband wireless networks that public safety can use after broadcasters clear the band in February 2009. Perhaps the most notable development regarding the airwaves was a filing from Motorola generally supporting an Access Spectrum proposal to reallocate the 24 MHz of 700 MHz spectrum already earmarked to public safety. The proposal would consolidate the narrowband channels and would establish 5.5 MHz blocks of contiguous spectrum adjacent to commercial spectrum that could be utilized for broadband offerings (see band plan). When this “broadband optimization plan” was released earlier this year, concerns surrounding the cost to reprogram more than 550,000 public-safety radios already being used and international border issues were raised. In early October, Motorola made an ex parte filing with the FCC that effectively endorsed the Access Spectrum plan with a modification that would earmark an internal guard band to support critical-infrastructure usage. In addition, Motorola indicated that “no incremental costs” would be incurred on radios in the field but not yet operating at 700 MHz — a significant concern to public-safety agencies. Steve Sharkey, Motorola’s director of spectrum and standards strategy, said radios capable of working in the 700 MHz band are dual-band radios that also work at 800 MHz, which is the only band in which they operate today. The dual-band units will not be activated for 700 MHz use until the network infrastructure for the band is in place, Sharkey said. Sharkey acknowledged that there could be some costs associated with radios on existing 700 MHz systems. However, there are few such systems on the air today, and there is little chance that many more will be operational in the near future, said Steve Devine, patrol frequency coordinator for the Missouri State Highway Patrol. With the 700 MHz Technical Working Group’s filing that outlines a plan to answer the U.S./Canadian border questions, the two major issues surrounding the Access Spectrum proposal have been addressed, Devine said. Separately, Access Spectrum has proposed auctioning the entire 60 MHz of 700 MHz spectrum to commercial entities as planned. However, the Access Spectrum plan calls for the FCC to grant “preference” to bidders that agree to provide public-safety-grade infrastructure in the public-safety broadband spectrum and give public safety priority access to the commercial spectrum in times of emergency — for free. Access Spectrum’s proposal utilizes the same spectrum that Verizon Wireless reportedly proposed using in its presentation to public-safety officials in August. However, Verizon Wireless officials have not publicly acknowledged the existence of its reported proposal, so Access Spectrum has the only plan that can be considered formally. “We’re suggesting that there’s a way that’s doable — without Congressional action — to achieve a majority, if not all, of public safety’s objectives with respect to getting a next-generation broadband network,” said Michael Gottdenker, Access Spectrum Chairman and CEO. But public-safety officials continue to show increasing interest in a proposal that would require Congress to alter its 700 MHz auction plans. Cyren Call Communications, led by Nextel Communications co-founder Morgan O’Brien, has proposed that an additional 30 MHz of 700 MHz spectrum be allocated to a public-safety trust, which would lease the spectrum to commercial operators willing to build public-safety-grade broadband networks nationwide in a public/private partnership. In October, the International Association of Chiefs of Police (IACP) and the Western Fire Chiefs Association — representing fire organizations in 10 western states — passed resolutions endorsing the concept without specifying Cyren Call’s proposal. 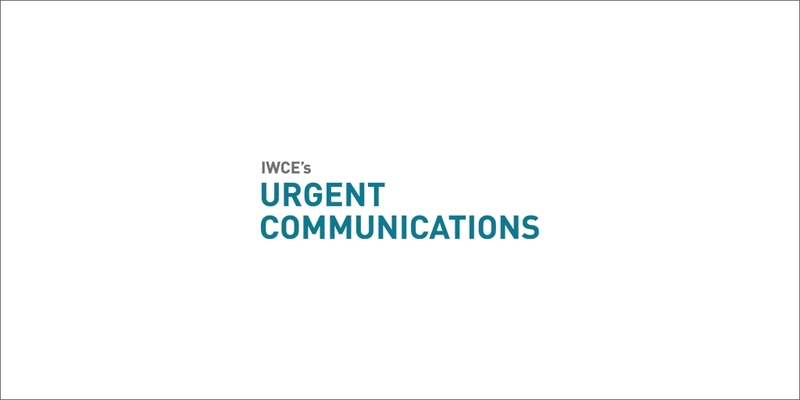 Harlin McEwen, chairman of the IACP’s communications and technology committee, said his organization’s resolution is worded to indicate that IACP believes the nationwide broadband network primarily will be for data and serve as a backup for traditional land mobile radio voice communications. Whether the Cyren Call proposal is seriously considered will depend upon Congress agreeing to let the FCC alter plans for the 700 MHz auction, currently scheduled to begin before Jan. 28, 2008. The topic has not received much attention on Capitol Hill thus far — something that probably will not change when Congress reconvenes in mid-November for a lame-duck session to address budget matters. “We’ve concentrated the last three months on increasing public safety’s awareness and to generate their interest, and things seem to be coming along very nicely,” said Bruce Cox, Cyren Call’s vice president for government relations. Cox said the best opportunity for Cyren Call to be considered by Congress will be early in the next session, beginning next year. McEwen echoed that sentiment. Advanced Technology Systems landed a $1 million, three-year contract from the Alabama Criminal Justice Information Center for its Voyager Secure Wireless Data solution. The solution will support and manage statewide enterprise wireless systems housing criminal-justice data, according to the company. Cellular Specialties installed a technology-neutral distributed antenna system at University of Phoenix Stadium, the home of the NFL’s Arizona Cardinals in Glendale, Ariz. The facility-wide wireless voice and data solution provides 802.11 connectivity, the company said.